Are you looking for a cheap accommodation for a night? Place in the middle of the Krakow in comfortable conditions, pleasantness and quite place? Do you want to spend your free time in a good mood? Do you want to see Krakow? You've made a good choice Hostel 70's assert this! 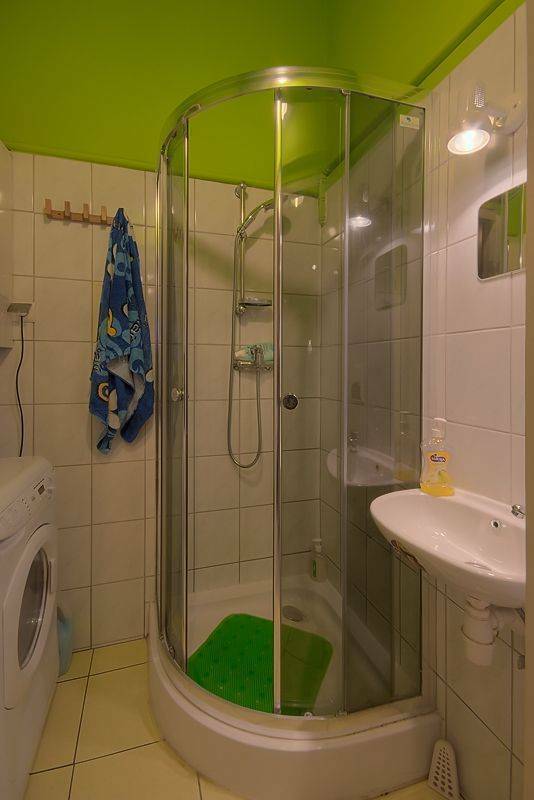 We'd like to present you an accomodation offer of the Krakow's smallest Hostel 70s. Hostel offers a budget accomodation for both private customers and organized groups. Hostel 70s is the smallest hostel in Krakow, it's a new property, very clean, cosy and snug, guaranteeing its guests a high comfort. We provide a relaxing, down-home atmosphere and help our guests to organize activities in their leisure time. The price of accomodation includes a breakfast, an Internet access, satellite TV, DVD, unlimited tea and coffee, press and cooking facilities. The WiFi is available throughout the entire hostel. We arrange tours to Wieliczka Salt Mine, Auschwitz – Birkenau and pub crawls throughout Krakow's best places. The reception is open 24 hours a day 7 days a week. Hostel 70s offers 3 rooms: private double room with private bathroom, twin room and 8 bed mixed dorm. There is also a fully equippedd kitchen available for guests. Kazimierz is one of the most interesting places to stay in Krakow where u can find History, museums and great atmospheric pubs, restaurants, clubs, and other tourist attraction place. You dont have to worry about transportation as we are located very close to tram and bus stops to move around Krakow easily and without any hassle also ask our information desk to get a better advice about the real polish traditions and life in Krakow. 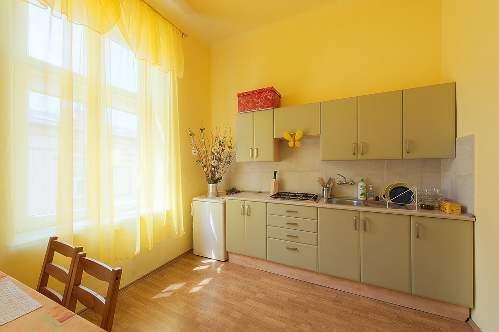 We are considered as the newest Hostel in Krakow providing a very comfortable guest rooms with a style and spirit of 70s in a present perspective. Please check our list of services for more info. Our kitchen is equipped with all the necessary to make you feel just like home. We also offer a special price for groups; long term reservation and kids below 12 years old; of course infants are our dear guests. kindly confirm booking 24 hours before due date and also cancellation of booking. We are located in Dietla street no 49/12, very close to the heart of district Kazimierz in Kraków. The nearest stop in Krakowska st. which is three minutes walk from the Hostel; and the name of the stop is Plac Wolnica. Take tram number 10 direction to Łagiwniki (5th stop) or take tram number 34 direction to Wieliczka (3rd stop) from front of Galeria Krakowska. Night bus 603 goes from Main Train Station to direction Bieżanów Nowy every hour from midnight till 4 am Plac Wolnica is the 4th stop. When arriving to Plac Wolnica station turn right then right again to our Hostel at Augustianska st.